The firm can trace its history at Deal back into the 19th Century beginning with John May who, in about 1810, took John Mercer into partnership. After John May's death, Mercer's son George and his son-in-law James Barber Edwards joined the firm, practicing successfully as May and Mercer. After being articled to George Mercer, John James Williamson became a partner in 1885. In 1891 he dissolved the partnership and began to practice on his own. His wife's nephew Reginald John Barnes was articled to him in 1929 and joined him as a partner in 1934. 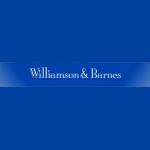 From that date the firm's name of Williamson and Barnes has remained unchanged. The firm has occupied the same offices at 12 and14 Queen Street (formerly 19 and 20 Five Bells Lane) in Deal ever since 1803. 14 Queen Street looks like a bank, because it originally formed the banking hall of Messrs May, White, Wybourne and Mercer. J.J Williamson acted as Clerk to the Deal Borough Justices followed by John Barnes in 1938 until Deal lost its separate commission of the peace in 1974. The current partners are Michael Griffiths who was articled to the firm in 1983 and became a partner in 1987, his brother Jonathan Griffiths who joined the firm in 1996 became a partner in 2002 and Nathan Bowles who joined the firm in 2001 and became a partner in 2004. In addition we have the support as Consultants of two long serving former partners Keith James and Anthony Beacham. We had the misfortune to be on the receiving end of this firm's service during what should have been a simple house purchase. Instead this firm held up transactions and correspondence to the point that we almost pulled out of the sale. They appear unfamiliar with email and modern appliances such as the telephone!